He is President of The International Menopause Society and a Past President of The Australasian Menopause Society. He is also Chair of The Medical Advisory Board of Family Planning NSW, Associate Editor of The Australian and New Zealand Journal of Obstetrics and Gynaecology and a member of the Editorial Board of Climacteric, the Journal of the International Menopause Society. 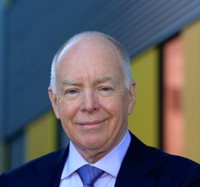 In 2013 The Royal Australian and New Zealand College of Obstetricians and Gynaecologists recognized his contribution to the field of Obstetrics and Gynaecology with the award of The Distinguished Service Medal. Specialist Women’s Health Clinic, Alfred Hospital Melbourne Consultant at Cabrini Medical Centre. Her research has advanced the understanding of estrogen and testosterone action, deficiency and replacement in women. 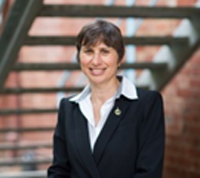 She is President elect of the International Menopause Society and a Fellow of the Australian Academy of Health and Medical Science. She has over 330 peer-reviewed publications. She received the International Excellence in Endocrinology Laureate Award of the Endocrine Society (USA) 2015 and the NAMS/Lippincott Williams and Wilkins Menopause Journal Best Paper Award 2016. University of Glasgow, Glasgow, UK. National Health Service (NHS), UK. 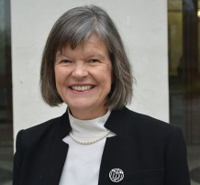 She is Senior Vice President of the Royal College of Obstetricians and Gynaecologists with responsibility for Strategy. 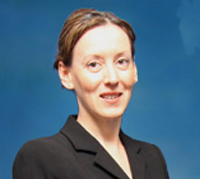 She is President of the International Menopause Society (2016-2018), Vice Chair of the Women’s Health Expert Advisory Group to the Medicine and Hormones Regulatory Authority (2012-current) and was Chair of the Guidelines Development Group for the National Institute of Health and Care Excellence (NICE) Guideline on the Investigation and Management of the Menopause (2015). 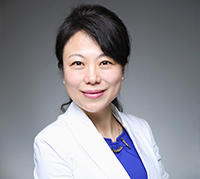 Her current research interests include: menopause and hormone replacement therapy, menstrual disorders and surgical treatments, and mechanisms of hot flushing. Professor Lumsden has published extensively on these topics in peer-reviewed journals including research articles, reviews and book chapters. Physician reproductive endocrinologist, and world-renowned researcher, author, and lecturer on menopause & infertility. After serving on the Faculty of the University of Cape Town, he transferred to Cleveland, Ohio, in 1976. He started the world’s first menopause research center at the Groote Schuur Hospital. He was an early pioneer of in vitro fertilization. Among numerous international awards, he was honored by Good Housekeeping as “one of America’s best physicians in women’s health,” by Ladies Home Journal as one of the “top ten researchers in women’s health”, by the FDA with an FDA Citation “for the collective outstanding performance of the ‘Menopause and Hormones Information Campaign’, and most recently in Canada with the first SIGMA/Canadian Menopause Society “Menopause Trail Blazer Award”. 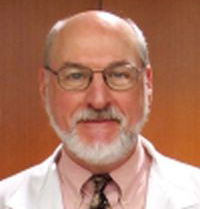 He is Professor Emeritus of Reproductive Biology, Case Western Reserve University, Consultant in Women’s Health at the Cleveland Clinic, and Chairman of the Advisory Board of Rapid Medical Research. Previously, he was Director of OB/GYN at University Hospitals of Cleveland. He founded the International Menopause Society, and the North American Menopause Society. In 2015 he returned to NAMS as Interim Executive Director to assist in the reorganization of the Society, and transition of leadership. He was Medical Editor of Maturitas, Founding Editor of Menopause (1994-2010), and Editor of Menopause Management. 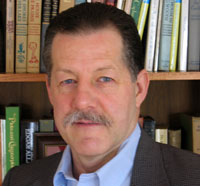 He has written over 230 scientific papers related to women’s health, and has authored several books, the most recent including “CHANGE YOUR MENOPAUSE – Why one size does not fit all”, released January 8, 2016 in its updated and revised 2nd edition, his successful self-help book “THE UTIAN STRATEGY - Is this your problem or is this my problem?”, and “FINDING THE UNEXPECTED – Tracing Utian Family Roots in Lithuania”. Dr Ang set up Family Medicine Service and is also currently the Head in Menopause Unit, KKH. Special interests in Geriatric, Menopause, Osteoporosis, Paediatric Dermatology and Family Medicine. I am Dr Chan Tat Hon, my passion is Lifestyle Medicine and my personal mission is to help people to maintain wellness and regain health through lifestyle, especially dietary modifications. My passion and areas of practice are preventive and lifestyle medicine. My focus is on physician guided lifestyle & dietary modification programmes for the management & prevention of chronic diseases such as diabetes, ischaemic heart diseases, obesity, cholesterol disorders, metabolic syndrome and other diseases where lifestyle, especially diet, play a significant role. 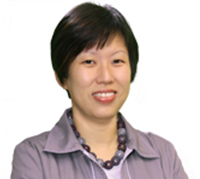 Dr Cornelia Chee graduated from the National University of Singapore in 1996 and qualified as a specialist in Psychiatry in 2004. She did her clinical fellowship in Women's Mental Health at the University of Toronto in 2006-2007 and set up the Women's Emotional Health Service at NUH in 2008. She is also the Clinical Director at the Department of Psychological Medicine, NUHS. Her interests are in Women's Mental Health, in particular, perinatal psychiatry, and in general adult psychiatry. Dr Chen Rong (MD) is a clinical Professor of gynecological endocrinology in Peking Union Medical College Hospital. She is actively involved in clinic and research in the fields of menopause and sexual abnormality. 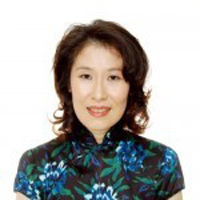 She is presently the vice-President of Chinese Menopause Society. She is a regular presenter in national meetings. She is also good at medical education and serves as vice-President of Young Teachers Union in Chinese Academy of Medical Science. 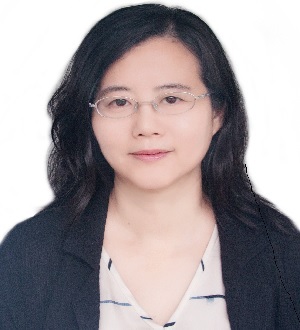 Professor Chen has authored more than 80 peer-reviewed papers and she is an editorial board member of several medical magazine in China. Dr Chua Yang graduated from the National University of Singapore. She is a fellow of the Royal College of Obstetricians & Gynaecologists, FRCOG (UK), and a Fellow of the Academy of Medicine, Singapore (FAMS). She also holds graduate diplomas in acupuncture and in mental health. 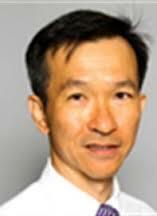 Dr Chua Yang is the director and specialist obstetrician and gynaecologist at A Clinic For Women, Singapore. She is also the founding director and head of women's health for Global Clinic, a non-profit organization. This organization represents a group of medical and dental doctors who volunteer their time and resources to provide healthcare services in remote areas around the world. She is the President of the Asia Pacific Menopause Federation (2013-2017), and past president of the Menopause Research Society of Singapore. She is the medical advisor of "Woman to Woman" Menopause Support Group and has also completed two terms in the council of the Obstetrical & Gynaecological Society of Singapore. 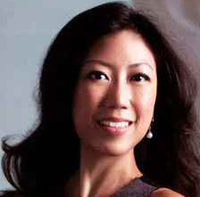 She is an active member of the Association of Women Doctors (Singapore) and Osteoporosis Society of Singapore. and Director of the Australian Institute for Musculoskeletal Science at the University of Melbourne. Professor Gustavo Duque is a world leader in ageing and musculoskeletal research. Prof. Duque is a geriatrician and a clinical and biomedical researcher with special interest in the mechanisms and treatment of osteoporosis, sarcopenia and frailty in older persons. His initial training included Internal Medicine at Javeriana University (Colombia) and Geriatric Medicine, which he completed at McGill University in Montreal (Canada). Subsequently, he obtained his PhD at McGill University in 2003 with a thesis entitled ‘Molecular Changes of the Aging Osteoblast’ under the supervision of Dr. Richard Kremer. Between 2003 and November 2007, he joined the faculty at McGill University Medical School as a member of the Division of Geriatric Medicine and as Researcher at the Lady Davis Institute for Medical Research. In November 2007, he moved to Australia to join the Faculty as Associate Professor and Head of the Division of Geriatric Medicine and Director of the Musculoskeletal Ageing Research Program at Sydney Medical School Nepean -University of Sydney. In 2012, he was promoted to Professor of Medicine at the University of Sydney. 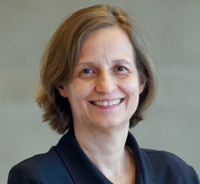 In 2015, Professor Duque moved to Melbourne to assume a new position as Chair of Medicine and Director of the Australian Institute for Musculoskeletal Science at the University of Melbourne. Dr. Gamilla is currently the chairman of the Department of Obstetrics and Gynecology at the UST Hospital since 2005. She became the president of the Philippine Obstetrics and Gynecology Society in 2008, after serving as president of the Perinatal Association of the Philippines in 2004, president of the Philippine Society for Gynecologic Endoscopy from 2011 to 2012, serving as Chairman Specialty Board in 2015 to present and became president of the Philippine Society for Climacteric Medicine in 2013 to 2014. She was given the BALDOMERO ROXAS AWARD FOR ACADEMIC EXCELLENCE in 2015, highest award given to a fellow of POGS. Bernard has been in the zoo business for 43 years, his last zoo position being CEO of Wildlife Reserves Singapore. He resigned in 2002 to set up Bernard Harrison and Friends Ltd, a specialist design company focusing on the development and sustainable operation of zoological gardens, and eco-tourism attractions. Bernard did his undergraduate studies in animal behaviour and has a master’s degree in zoo planning. He was awarded the American Creativity Association’s Champion of Creativity Award in 2008 for his work on developing the unique concept of the Night Safari. Bernard hosted a wildlife conservation awareness slot on Discovery Channel for many years called “Ask Bernard”. 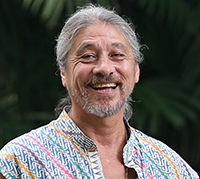 He has also appeared in many documentaries on Discovery Channel, Animal Planet, and various Singapore TV channels. 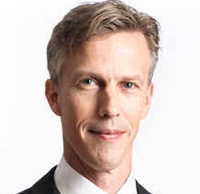 A/Prof Mikael Hartman has been practicing in Singapore since 2009 and is originally from Stockholm, Sweden where he received his training at Karolinska Institute. That is also where he received his board certification in General Surgery in 2005. Having completed his doctoral studies in the field of epidemiology in 2007, he specializes in the field of breast cancer etiology and prognostification as well as inheritance of cancer prognosis. He has been a co-recipient of the Breast Cancer Concept Award, US Army, in 2002 and 2006. He heads a research group of more than ten members including three PhD students and is leading the development of the Singapore Breast Cancer Cohort and the Singapore-Malaysia Breast Cancer Working Group and the Breast Cancer Prevention Programme in the Saw Swee Hock School of Public Health (SSHSPH). The research has been published in Lancet Oncology, Journal of Clinical Oncology, Breast Cancer Research, British Journal of Surgery, European Journal of Cancer etc. He serves as the Deputy Director of the Initiative for Research and Innovation in Surgery – NUHS, the Research Director of the University Surgical Cluster Research Committee – NUHS, the Head of Surgical Clinical Epidemiology Unit – NUHS, Deputy Head of Breast Services in Department of Surgery – NUH and a member of SSHSPH Senior Management Committee and Faculty Promotion and Tenure Committee. Professor of Epidemiology and Biostatistics at School of Health Sciences, Gunma University, Japan. Kunihiko Hayashi, PhD is professor of Epidemiology and Biostatistics at School of Health Sciences, Gunma University, Japan. 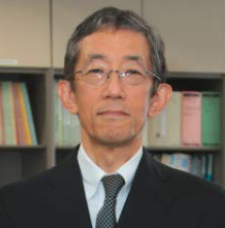 He received PhD (Epidemiology) in 1990 from the University of Tokyo, and then he became a postdoctoral research fellow at School of Public Health, Harvard University from 1990 through 1992. He moved to Gunma University in 1996. He has been involved in epidemiologic studies and clinical trials for women’s health. 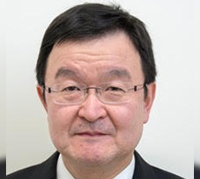 He has been the principal investigator of a prospective cohort study project for women’s health, the Japan Nurses’ Health Study, from 1999 when the project was initiated. Hendy Hendarto, MD is a graduate of Airlangga University Medical School, Surabaya, Indonesia. Since 1997 he worked at Department of Obstetrics and Gynecology Medical School Airlangga University/Dr Soetomo Hospital. He underwent training in laparoscopic surgery and IVF at Sydney Australia, Nijmegen Netherlands and Ghent Belgium. He graduated doctoral degree in 2007 at Airlangga University. He has a position as chairman of Dr Soetomo Hospital IVF Team, member of Airlangga University Stem Cell Team, editor of Materia Obstetrics & Gynecology Surabaya, president of PERMI/Indonesian Menopause Society. The main research interests are menopause, endometriosis, infertility and stem cell. 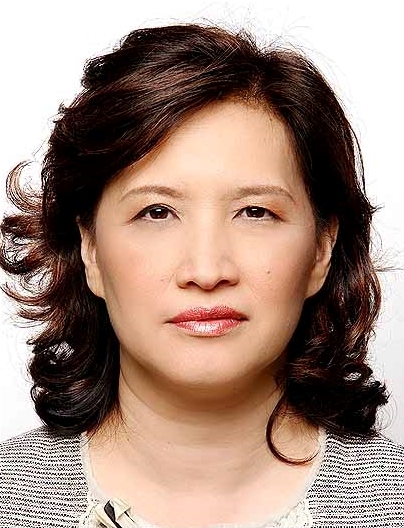 Dr Ho Choon Moy is the current President of the Malaysian Menopause Society and a Consultant Obstetrician & Gynaecologist at Pantai Hospital Cheras in Kuala Lumpur. Prior to joining Pantai Hospital in 1994, she worked as a specialist and lecturer at the National University of Malaysia (UKM), where she also graduated as a Doctor in Medicine. She subsequently obtained her post-graduate degree from the Royal College of Obstetricians & Gynaecologists (MRCOG) in London and later became a Fellow (FRCOG) at the institution and also at the International College of Robotic Surgeon. I graduated in 1980 from Glasgow University and have spent most of my working life in the East of Scotland within a Women's Health setting -contraception and sexual health, menopause, gynaecology and sexual difficulties. I obtained my Membership of the Institute of Psychosexual Medicine (MIPM) in 2002 and ran a specialist referral psychosexual clinic for over 10 years in Dundee. I took part in seminar training in Glasgow and Edinburgh and was a seminar leader in Arbroath and Perth. I moved to Australia in 2013 to work within General Practice but continue my involvement in Psychosexual Medicine with face to face counselling as part of my day to day practice and phone consultations for the Cancer Council Victoria. With the help of Associate Professor Susan Carr we have recently set up a psychosexual seminar group in Melbourne, Victoria. Prof. & Head, Dept. of Obstetrics& Gynecology. Dr Leonard Koh is an Endocrinologist at the Gleneagles Medical Centre and Visiting Consultant at the Singapore General Hospital. He was a past President of the Endocrine & Metabolic Society of Singapore and the Osteoporosis Society of Singapore, and was a founding member of the Asian Federation of Osteoporosis Societies. He has held professional appointments as chairman of National guideline workgroups on osteoporosis and obesity, and member of National guideline workgroups on health screening and management of the aging male. Professor, Duke-NUS Cardiovascular Academic Clinical Program, Chairperson, Asia Pacific Association of Women’s Cardiovascular Disease. 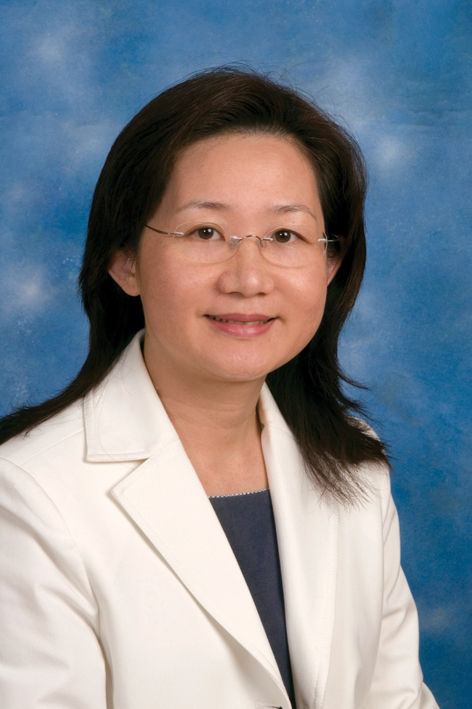 She graduated from the Faculty of Medicine, National University of Singapore, completed advanced specialty training in Cardiology in Singapore, and pursued her Research Fellowship at the Cardiorenal Laboratory, Heart Failure Fellowship at the Division of Cardiovascular Diseases, and Advanced Cardiology and Master of Biomedical Sciences at Mayo Clinic, Rochester MN. She further obtained training in clinical and genetic epidemiology at the Framingham Heart Study in Boston, MA before returning to Singapore in 2010 on the National Medical Research Council’s Clinician Scientist Award. 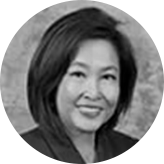 Dr Lam’s clinical sub-specialty is heart failure, and she is recognized globally for her expertise in heart failure with preserved ejection fraction. She also has expertise in women’s cardiovascular disease, hemodynamics, echocardiography, biomarkers and clinical trials. She started the first Heart Failure with Preserved Ejection Fraction Programme and Women’s Heart Health Clinic in Singapore, was awarded the L’Oreal Women In Science Award (2012) for her work in women’s cardiovascular disease, was named an InterAcademy Medical Panel Young Physician Leader at the World Health Summit in Berlin (2012), and won the award for the Junior Chamber International (JCI) Ten Outstanding Young Persons of the World for 2014 –Singapore (2014). She is the Programme Lead of the Asian neTwork for Translational Research and Cardiovascular Trials (ATTRaCT) – an A*STAR Biomedical Research Council-funded research platform; and principal investigator of an ongoing nation-wide heart failure study in Singapore (the Singapore Heart Failure Outcomes and Phenotypes [SHOP] study), a multinational Asian study of heart failure across 11 Asian countries (Asian Sudden Cardiac Death in Heart Failure [ASIAN-HF] study), as well as a multinational Asian registry of diabetes (Asian Diabetes Outcomes Registry [ADORE]) in collaboration with the American College of Cardiology’s Diabetes Collaborative Registry. She serves as a consultant on several global advisory boards for cardiovascular disease, as a member of the Executive Committees of global heart failure trials, and as an Associate Editor for Circulation and European Journal of Heart Failure. Finally Dr Lam is seen regularly on television as the Resident Doctor of the health programme “Body and Soul” by MediaCorp Singapore. Professor Robert D. Langer, MD, MPH, is an epidemiologist, family physician and preventive medicine specialist with 30 years of experience in studies of cardiovascular disease, breast cancer, colon cancer, osteoporosis and dementia. A primary care doctor for nearly 40 years, he has authored nearly 200 manuscripts in the peer-reviewed scientific literature. 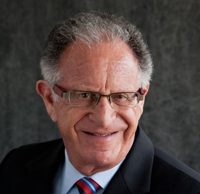 Dr. Langer was the Principal Investigator of the University of California, San Diego Vanguard Clinical Center for the Women’s Health Initiative (WHI) for the entire primary study period (1993 - 2005), Chairman of the WHI National Investigators Committee (1995-96) and Chairman of the WHI Observational Study Committee (1996-2005). 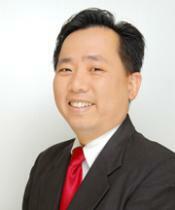 Dato’ Dr. Lim Boon Ping is a Consultant Orthopaedic Surgeon. His area of interest is in the speciality of lower limb arthroplasty and trauma. He is in an active private practice in Subang Jaya Medical Centre, in the suburb of Kuala Lumpur, for the past 18 years. He is a central committee member of Malaysia Osteoporosis Society and he is also a Scientific committee member in the Malaysian Orthopaedic Association. He has been active academically in the field of Arthroplasty and in the subject of Osteoporosis. He frequently speaks on behalf of Ministry of Health of Malaysia and Malaysian Osteoporosis Society in teaching and updating Osteoporosis treatment and Clinical Practice Guidelines in Malaysia. Prior to his private practice he was the head of Bone Bank and Arthroplasty service in Kuala Lumpur General Hospital. He had worked in Kuala Lumpur, Singapore and United kingdom while undergoing his post fellowship training over 20 years ago. 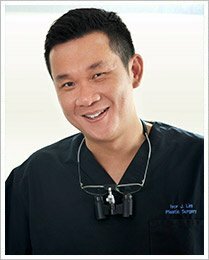 Dr Lim is a Consultant Plastic Surgeon in private practice and Founder Director of biotechnology company CellResearch Corporation. He still teaches and conducts research at the National University of Singapore where he is an Adjunct Associate Professor. Dr Lim Min Yu is a consultant in the Division of Reproductive Endocrinology and Infertility within the Department of Obstetrics and Gynaecology at the National University Hospital, Singapore. He studied Medicine at the University of Glasgow, and then completed specialist training in O&G in the West of Scotland. In 2010, he returned to Singapore with his family to join NUH. He is an accredited practioner of assisted reproduction procedures by the Ministry of Health Singapore. He has also has a special interest in Minimally Invasive Surgery. He sees and treats couples with infertility at the Clinic for Human Reproduction at NUH. He is also the Program Director for the NUHS OBGYN residency program and an Assistant Professor at the National University of Singapore. Dr Lim set up an electronic database to track delivery outcomes for the maternity unit at NUH. His research interests lie in the areas of reproductive medicine, particularly in preimplantation genetic screening and other methods of selecting the best embryos for transfer, and medical education. • She is active in both undergraduate and post graduate medical education and her clinical interests lie in immunodermatology, drug eruption and eczema. Head and Senior Consultant Gynaecologist the Department of Gynaecological Oncology and Deputy Chairman of the Division of O&G in KK Women’s & Children’s Hospital. Adjunct Associate Professor at the National University of Singapore, YLL School of Medicine and Duke-NUS Medical School. Dr Logan completed her undergraduate & postgraduate medical training at the University of Aberdeen, UK. She obtained her Membership of the Royal College of Gynaecologists (MRCOG) in 1996. In addition to completion of specialist training in Obstetrics & Gynaecology, she was awarded the higher academic degree of Doctor of Medicine with commendation in 2003.She also completed subspecialty training in Sexual & Reproductive Healthcare & special skills training in Menopause Care. She obtained the Membership to the Faculty of Sexual & Reproductive Healthcare in 2007. 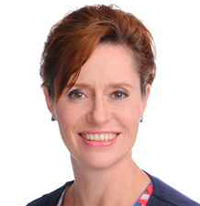 Dr Logan took up a position of Consultant in Sexual & Reproductive Healthcare & Honorary Senior Lecturer in Aberdeen in 2007 which she held until moving to Singapore in 2012. As a Consultant, she held a number of lead roles and was awarded the Clinical Excellence awards in 2009, 2010 and 2011. In addition to general gynaecology, her areas of interest include paediatric & adolescent gynaecology, menopause, sexual & reproductive health and sexual problems. Dr. Messina is the co-owner of Nutrition Matters, Inc., a nutrition consulting company, an adjust associate professor at Loma Linda University in California, and the Executive Director of the Soy Nutrition Institute. Dr. Messina devotes his time to the study of the health effects of soyfoods and soybean isoflavones. He writes extensively on these subjects, having published more than 80 articles and book chapters for health professionals. 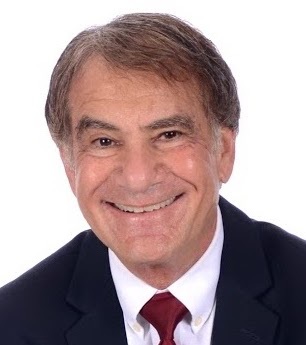 Dr. Messina is also the chairperson of the editorial advidory board and writes a regular column for The Soy Connection, a quarterly newsletter that reaches over 250,000 health professionals. Dr. Jaclyn, Chunyan Miao is an Assistant Professor in the School of Computer Engineering at Nanyang Technological University (NTU). Her research focus is on infusing intelligent agents into interactive new media (virtual, mixed, mobile and pervasive media) to create novel experiences and dimensions in game design, interactive narrative and other real world agent systems. She has done significant research work her research areas and published over 30 top quality international conference and journal papers. She believes that intelligence/agent augmentation will have a major impact on future new media systems. Falk is Assistant Professor at the Saw Swee Hock School of Public Health, National University of Singapore. He holds a joint appointment at the Charite University Medical Centre in Berlin, Germany. Falk qualified as a medical doctor from the University of Cologne, Germany and subsequently worked clinically in General Medicine and Cardiology at the Royal London Hospital and Oxford Radcliffe University Hospitals, United Kingdom. He completed a doctorate degree at the University of Cologne and a Masters degree in Public Health from the London School of Hygiene and Tropical Medicine. 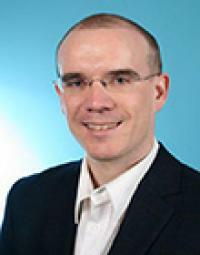 Falk’s work focusses on Health Services Research and the prevention of non-communicable diseases, with a particular emphasis on physical activity research. 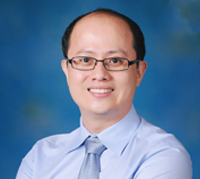 Dr Alvin Ng is currently Consultant Endocrinologist in private practice at the Endocrine Clinic @ Mount Elizabeth Novena. His HMDP for advanced endocrinology training was in Osteoporosis, Calcium and Metabolic Bone disease at the Mayo Clinic in Rochester Minnesota. 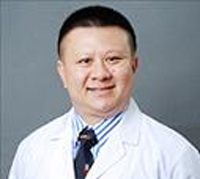 He continues to be a Visiting Consultant for Research at the Singapore General Hospital and he has served as a member of American Society of Bone and Mineral Research (ASBMR) Task Force on Atypical Femoral Fractures. 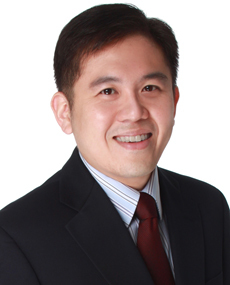 Dr Ong Chiou Li is a diagnostic radiologist by training. She received the Fellowship of the Royal College of Radiologists (London, UK) in 1987. 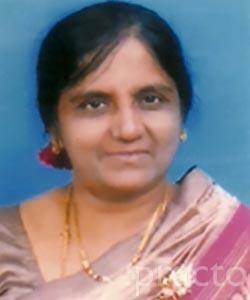 She served as Head of Radiology in KK Hospital from 1990-2003 and a second term from 2010-2013. She has a special interest in women’s imaging and has extensive experience in obstetric and gynecological ultrasound. She is currently Chairman of the Division of Clinical Support Services at KK Women’s and Children’s Hospital. Ms Ong Jiawen is a year 4 medical student at the National University of Singapore Yong Loo Lin School of Medicine. 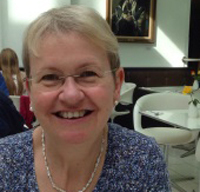 She is currently being mentored by Dr Susan Logan at the National University Hospital. Her interests are in maternal fetal medicine and menopause. 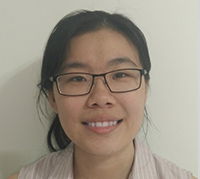 Ms Ong Zhi Lin Melissa graduated with a double degree in Biomedical Sciences and Chinese Medicine from the Nanyang Technological University and the Beijing University of Chinese Medicine. She currently works as an acupuncturist in Khoo Teck Puat Hospital and treats a wide variety of conditions ranging from musculoskeletal to internal medicine. Dr Pool is a Senior Consultant in the Department of Diagnostic Imaging at National University Hospital Singapore where she works mainly in breast and body imaging. Before moving to Singapore she worked in private practice in Australia and New Zealand, and in public hospitals in New Zealand and the UK. Dr Stefano Salvatore was born and raised in Italy. He received his medical degree at the university of Pavia in 1989, where he subsequently obtained his specialty in Obstetrics and Gynaecology in 1994. He has been trained in Urogynaecology in London, at the King’s College Hospital by Professor Linda Cardozo and at the University of Milan Bicocca by Prof Rodolfo Milani. From 1995 to 1997 he was Lecturer at the Clinica Ostetrica e Ginecologica of the Insubria Univeristy in Varese. In 1999 he became consultant in urogynecology at the Bassini Hopital, University of Milan Bicocca. At present, he works as Head of the Uro Gynecology Unit at the San Raffaele Hospital, University of Milan, Italy. He previously covered the same position at the University of Insubria, Varese and at the University of Milan Bicocca, Italy. 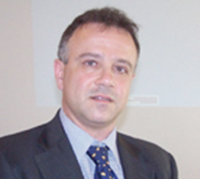 Prof Salvatore has been the Scientific Chair of the 2003 International Continence Society Meeting Chair of the 2009 International Urogynecological Meeting. He is the President of the European Urogynecological Association (EUGA). He is the Chair of the FIGO Standardization Terminology Committee for Female Pelvic Floor Dysfunctions. - Founder of Mongolian Menopause and Andropause Society (MMAS) since 2010. - Currently, the Chief Coordinator of first Mongolian nationwide research study "HEALTH PROFILE OF MIDDLE-AGED MONGOLIAN POPULATION"
- Works on establishment of specialised menopause healthcare services and clinics in primary healthcare in Mongolia..
Dr. James Simon is Clinical Professor of Obstetrics and Gynecology at George Washington University in Washington, DC, USA. Dr. Simon is a Past-President of the North American Menopause Society (NAMS), and The Washington Gynecological Society, and is currently President-Elect of The International Society for the Study of Women’s Sexual Health (ISSWSH). Dr. Simon’s research has been supported by more than 360 research grants and scholarships from a wide range of sponsors, including The NIH, The American Heart Association, The Heinz Foundation and the pharmaceutical industry. He is an author or co-author of more than 550 peer reviewed articles, chapters, textbooks, abstracts, and other publications, including several prize-winning papers. Dr. Simon is coauthor of the paperback book: “Restore Yourself: A Woman’s Guide to Reviving Her Sexual Desire and Passion for Life”. A short-list of his other honors and achievements includes being selected to “Top Washington Physicians, “America’s Top Obstetricians and Gynecologists”, and “The Best Doctors in America”. Emmanuel Stroobant started his career at a tender age of 16 – cleaning dishes in one of the best restaurants in Belgium. Whilst finishing high school and juggling between his night job, Stroobant took a liking to his working environment, and before long he was on his way to peeling, chopping vegetables and making salads! At the age of 23, he opened his first restaurant in his hometown, Liege. After the overnight success and three summers, Stroobant continued his culinary journey in Australia. 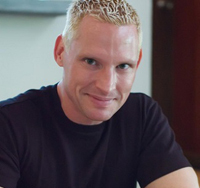 In 1997, Stroobant moved to Kuala Lumpur where he experienced the local scene and culture. Finally in 1999, Chef settled down in Singapore with his wife and founded Saint Pierre in December 2000. Please note: for outside events, Emmanuel's trusted head chef will represent him. If clients with to request Emmanuel presence, surcharges apply. Dr Tan is a geriatrician by training. She has been involved in direct patient care across the entire continuum including acute hospitals as well as in the intermediate and long term care sector. 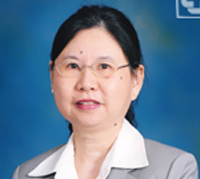 She has also been active in the development of geriatric medicine services in Singapore where she headed Geriatric Medicine units in both Changi General Hospital and Singapore General Hospital. As a policy maker, she was with the Ministry of Health, Singapore and held concurrent appointments in the Epidemiology and Disease Control, Integrated Health Services and Health Finance Divisions. She served as Deputy Director (Elderly and Disability Policy), Ministry of Community Development, Youth and Sports and worked on the Prime Minster Office (Ageing) portfolio. Under the Ageing Portfolio, she developed the Wellness Programme, a national programme to promote Active Ageing. She was part of the government led Ministerial Committee for Ageing team adopting Whole of government approach to ageing that included the built environment, housing, transport, health and social services. Her involvement as a policy maker included policy planning, service development, financing and licensing, regulation. Her interests are in developing a person-centred, whole life , integrated, multidisciplinary, evidence based approach in the area of health and social care provision incorporating both the clinician as well as administrative, policy planning perspectives. She is especially interested in promoting public- private- people sector collaboration facilitating a whole government, all people approach to longevity. The impact of an ageing population on health, service provision and standards as well as financing schemes is also areas that Dr Tan has been actively involved in and she has been active in advocating for better healthcare coverage, insurance to ensure affordability for all. She is currently spearheading Active Ageing Programmes through The Good Life Co-operative that partners seniors and their families and include health screening, risk assessment, health literacy and follow-up programmes for the middle agers. Dr. Delfin A. Tan currently serves as Head of the Section of Reproductive Medicine of the Department of Obstetrics and Gynecology of St. Luke’s Medical Center-Quezon City and as consultant in assisted reproduction at the Center for Reproductive Medicine, Ortigas Center, Manila. Dr. Tan was the founding President of the Philippine Society for Gynecologic Endoscopy. He was President of the Philippine Obstetrical and Gynecological Society, the Philippine Society of Climacteric Medicine and the Philippine Society of Reproductive Medicine. He was Vice-President of the Philippine Society for the Study of the Aging Male. He was a member of the Executive Board of the International Menopause Society. Cammy is the team leader for the Women’s health and lymphedema team in the Rehabilitation Centre. She has particular interest in the women’s health from obstetrics and gynaecology to greater issues encompassed by women’s health, such as cardiac pulmonary, incontinence and lymphedema management. She has been in this specialized area for more than 10 years and is responsible for developing services in this area. Cammy has given various talks to help raise awareness in the continence management in conferences and public forums. She is also undertaking research on lymphedema management in the gyne-oncological patients post treatments involving the lymph nodes. Dr. Wu Jie is a Professor of Department of Obstetrics and Gynecology at the First Affiliated Hospital of Nanjing Medical University. She has been engaged in clinic, teaching and scientific research of endocrine disorders, infertility and menopausal syndrome. She is a member on the Endocrine Society, Society for Reproductive Investigation. She has been to Yale University as a visiting scholar. Her research interest is involved in a number of basic and clinical studies in the etiology and therapy on premature ovarian insufficiency, postmenopausal cognition. 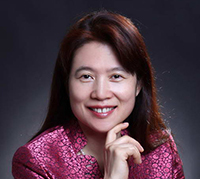 Dr. Wu has published more than one hundred papers in national and international journals. She also took charge of or participated in several research grants of Nation and Jiangsu Province. Yang Xin，Professor，Department of Obstetrics and Gynecology Peking University People’s Hospital. Dr Yang Xin is now standing Obstetrics and Gynecology Branch of Chinese Medical Association study group member of pelvic floor, Obstetrics and Gynecology Branch of Chinese Medical Association study group member of post-menopausal, chairman of China physicians association of Gynecologic endocrine specialized committee and the academic committee .Editor of "Chinese Journal of osteoporosis", executive deputy editor-in-chief of “Practical gynecologic endocrine”, standing Editor of “Practical Obstetrics and Gynecology (J Pract Obstet Gynecol), Editor of Climacteric(The Chinese version), Editor of "Chinese Journal of Practical Gynecology and Obstetrics". Professor Yong, with more than 25 years in Obstetrics & Gynaecology practice, specialises in reproductive endocrinology, subfertility, and polycystic ovarian syndrome. He has contributed significantly to the understanding and treatment of male/female infertility. This work has led to deeper understanding on how androgen receptor mutations and polymorphisms cause sexual reversal in XY individuals and low sperm counts in subfertile males. 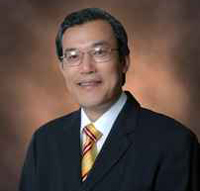 One of Singapore's leading medical researchers, he has won numerous awards. He authored/co-authored more than 200 papers, patents and abstracts. Currently, he leads a Consortium for Botanical Drug Development, a multi-disciplinary group that studies and develops drugs of herbal origin to pharmaceutical standards. He received a Ministerial Citation for his outstanding contribution to research on the genetics of human fertility by the National Science and Technology Board in 1999; and the Clinician-Scientist Investigator Award by the Singapore Biomedical Research Council in 2005. 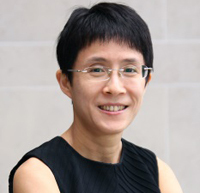 Assoc Prof Yu Su Ling is a Senior Consultant with the Department of Obstetrics & Gynaecology, Singapore General Hospital. 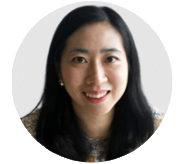 A/Prof Yu is an accredited IVF specialist, Director of Centre for Assisted Reproduction. She sees patients with general gynaecology and obstetrics problems, and her special interests are in subfertility, menopause, and endoscopic surgery. Deputy Director of O&G Dept. in PUMC hospital and Professor of PUMC. 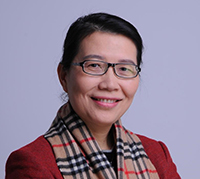 YU Qi is the president of the Chinese Menopause society and the clinical professor of the Reproductive Endocrinology in Peking Union Medical College Hospital. He is now the Deputy Director of O&G Dept. in PUMC hospital and Professor of PUMC, the Director of the Reproductive Endocrinology in the Dept. OBGYN and the Director of assistant reproductive center. He is now serves as the Associate Editor of Climacteric. 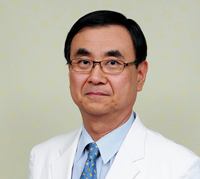 He is also the Editorial board member of Chinese Journal of Obstetrics and Gynecology, Chinese Journal of Osteoporosis and Bone Mineral Disease, Journal of Reproductive Medicine, Chinese Journal of Clinical Obstetrics and Gynecology, Journal of Practical Obstetrics and Gynecology, Chinese Journal of Practical Gynecology and Obstetrics. He is experienced in diagnosis and treatment of gynecological endocrinology diseases with abundant publications and served as a regular speaker in this field. Copyright © 2017, The 6th Scientific Meeting of the Asia Pacific Menopause Federation. All rights reserved.